The character of your home should be reflected throughout all aspects of its design. 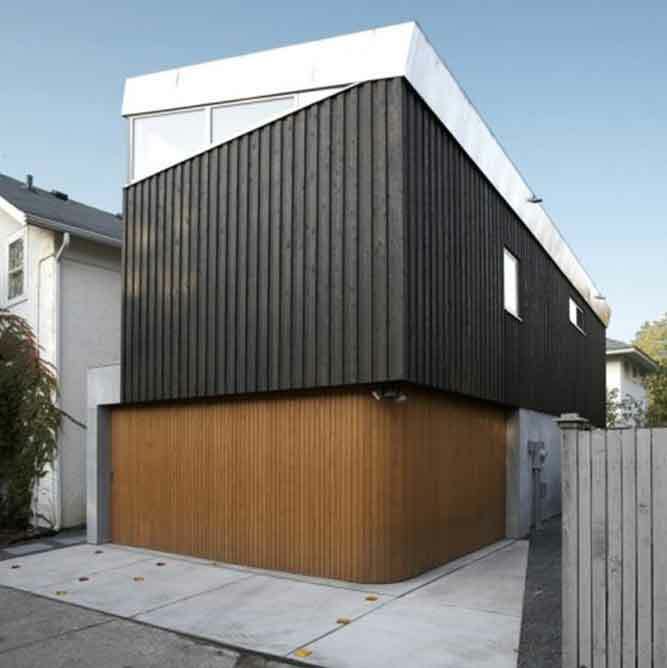 Entryways, including your commercial sliding garage door, should blend seamlessly into your home’s architectural style, from contemporary to traditional and everything in between. Rundum Meir Original wood garage doors and Original aluminum garage doors offer an unparalleled combination of functionality, flexibility and curb appeal that allows your vision to become a reality, while also offering an entrance to the home that is safe, convenient and easy to use. 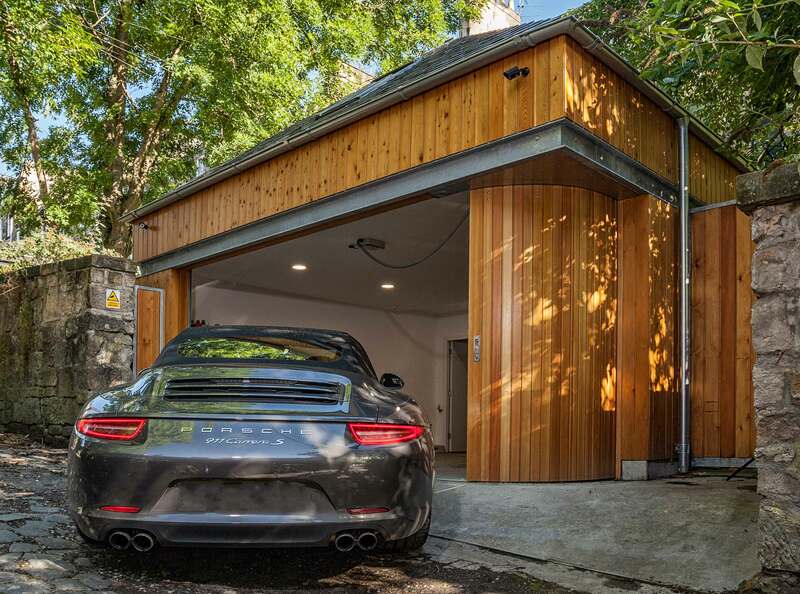 The design possibilities are endless with the Rundum Original, fitting seamlessly into almost any space and shape — from a traditional garage door opening to a wrap-around door on a circular commercial sliding garage. 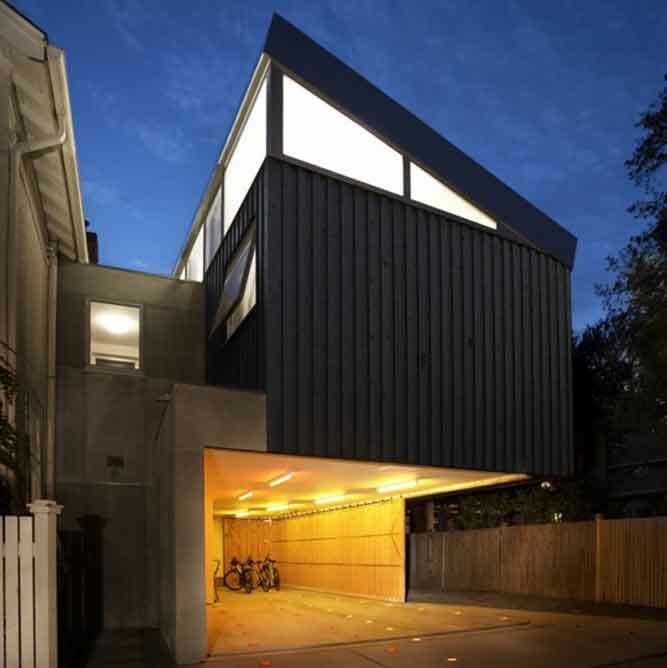 Unusual elevations, including convex and concave curves and arches, are easily accommodated. 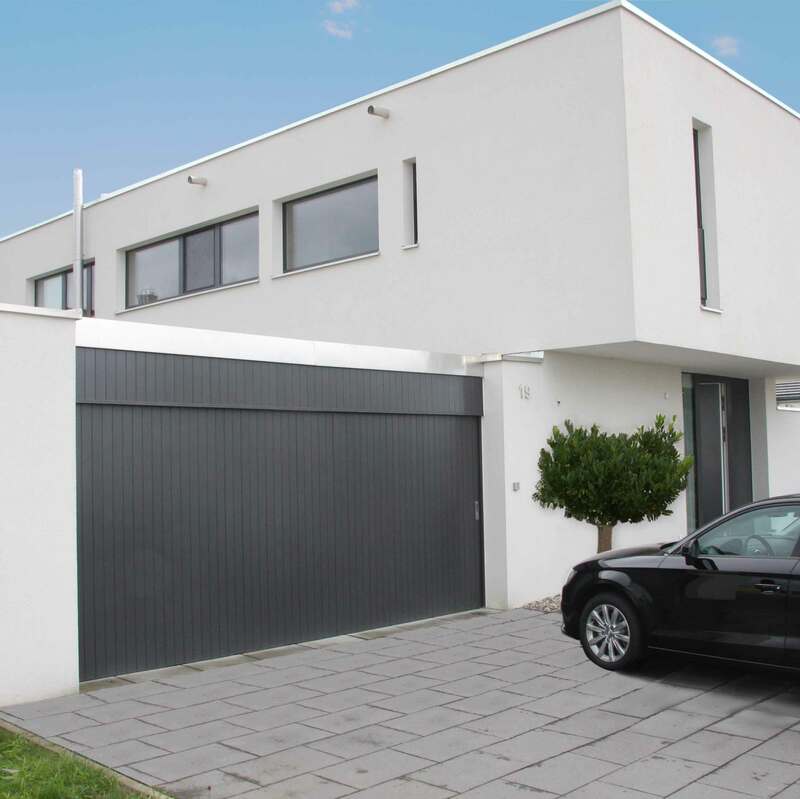 Because of our unique horizontal folding sliding garage door design, minimal side and head room is required and Rundum Original Round-the-Corner doors can accommodate obstacles such as pipes and columns. Our Original commercial wood sliding garage doors and Original aluminum sliding garage doors are limited only by the imagination of the designer. Custom made and handcrafted, the Original is the smartest solution for every structure, from airplane hangers to multi-family residential complexes and single family homes. 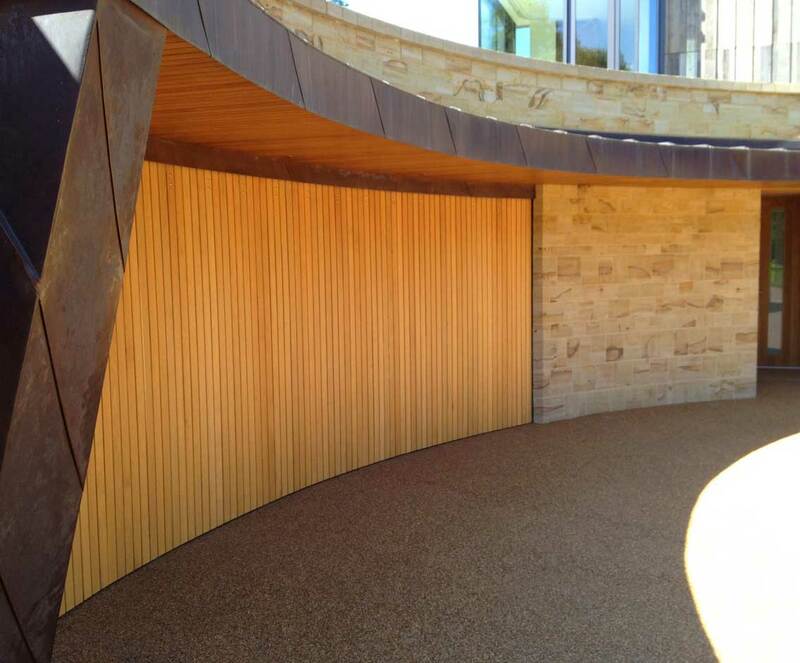 The Rundum Original provides the ultimate solution for not just integrating this often overlooked entrypoint into the home but transforming it into an elegant showpiece in its own right for any architectural style. Rundum Meir provides a dedicated design team to answer all of your questions and assist with planning, ordering and optimizing your Rundum Meir wooden sliding garage door and aluminum sliding garage door options. 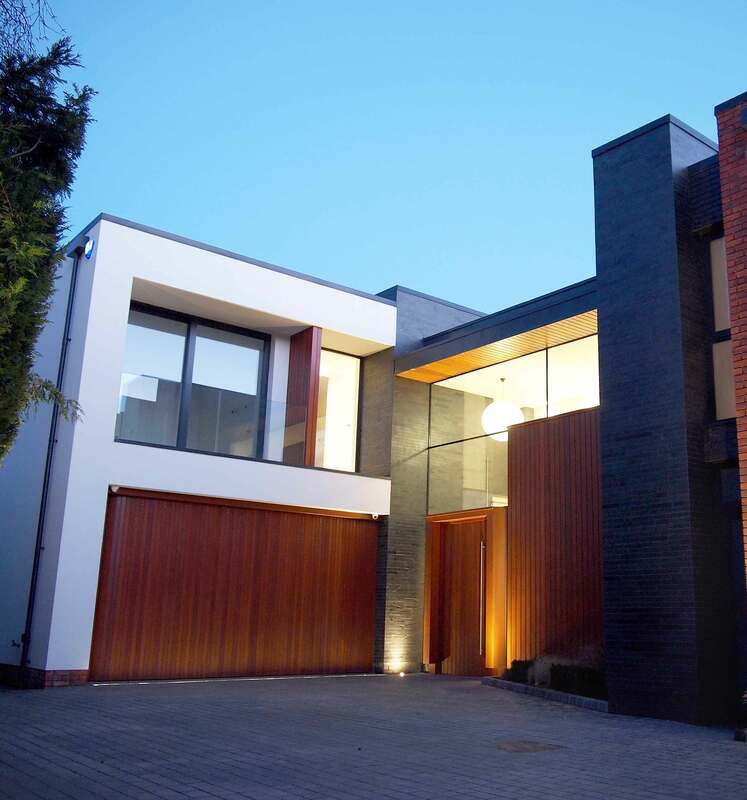 Rundum Meir Garage Doors offer flexible layout options and minimal size restrictions while using only the finest components and hardware, with a choice between manual operation or our unique automated solution. 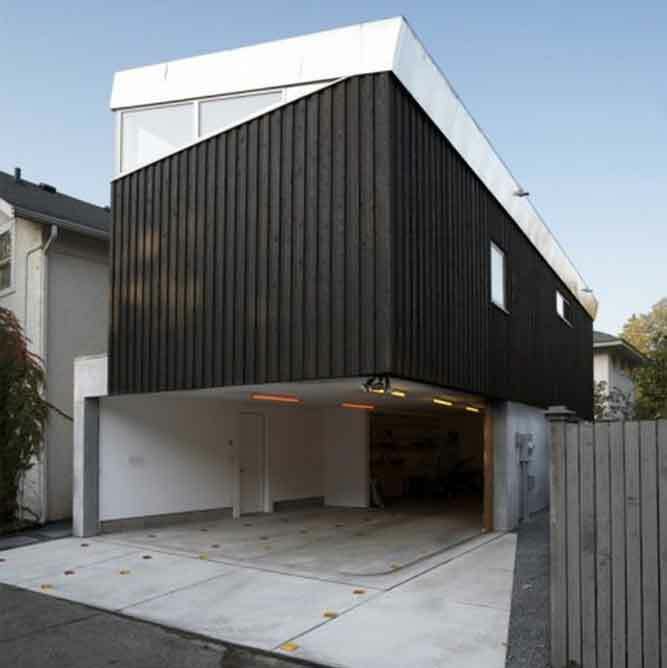 The unique garage door operator allows for full or partial opening for an easy to use pedestrian entrance, while the side sliding design eliminates the hazards of standard garage doors, meeting safety codes and exceeding expectations. Rundum Meir operators are developed for outstanding functionality, convenience and safety, in accordance with the Underwriters Laboratory’s code for side sliding garage doors. The door-mounted motor is engineered specifically for our systems. Our 2 channel remote control handsets are homelink compatible and can include a separate push button inside the door and key activated lock. The high-performance motor has an auto reverse function when it encounters any obstruction and contact-free limit switches. The motor runs smoothly and quietly, and a partial opening option can be programmed to achieve a pedestrian door within the door. 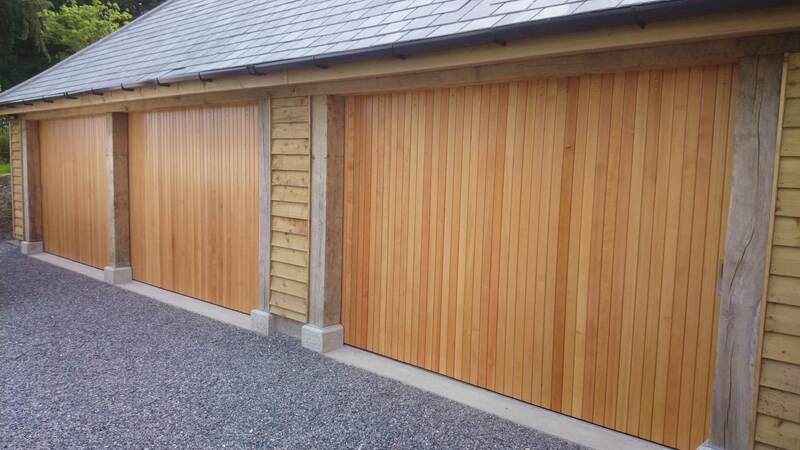 Our wood garage doors doors are impregnanted with an environmentally friendly base coat to protect against and reduce wicking moisture. The natural wood product can be finished within 2 weeks after delivery with commercially available stains or paints, or can be fully finished at the factory. 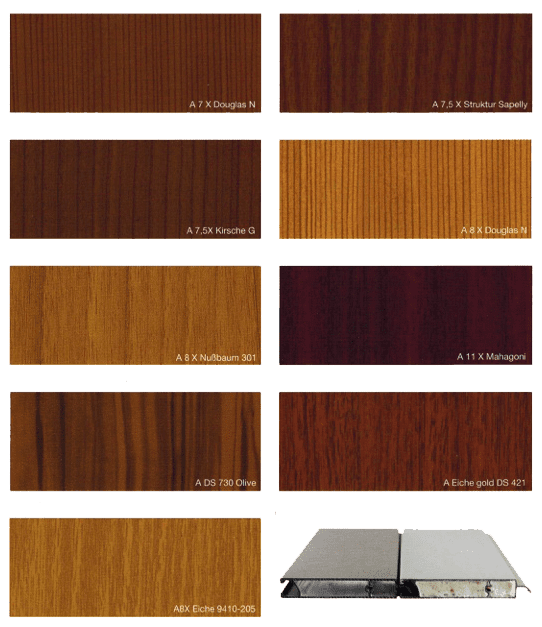 Aluminum garage doors can be designed with insulated panels in a variety of finishes, including a wide selection of RAL colors and unique faux wood options. Start Your Original Commercial Wood or Aluminum Garage Door Design Today! With old world craftsmanship, unsurpassed design flexibility, the highest quality materials and unequaled safety standards, Rundum Meir is elevating North American architecture to the next level. Make your project the next step in design evolution by calling us today at 281-863-9448.